We're excited about our state-of-the-art technology because we know that it will make your treatment easier and more efficient. 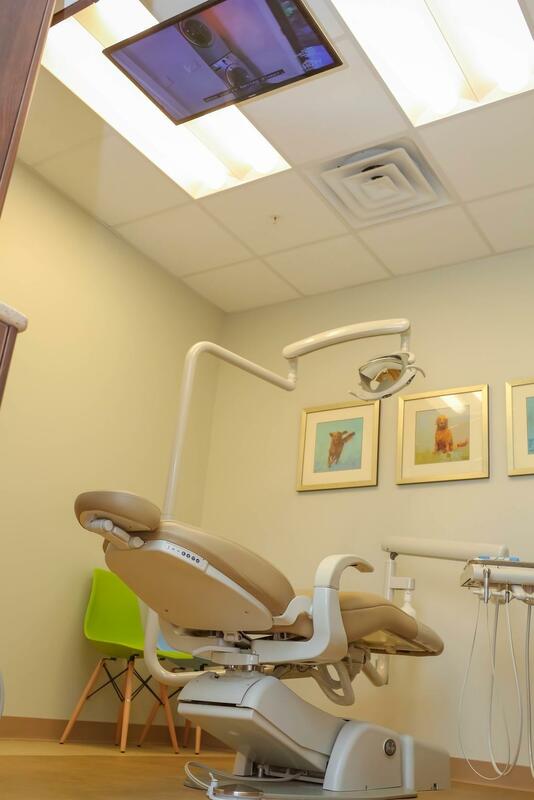 At Bethlehem Town Family Dental, we choose technology that makes your dental care easier and more comfortable. By streamlining your treatment with updated technology, we can complete your treatment efficiently so you don't need to spend any more time in the dental chair than necessary. In our office, we take infection control very seriously. 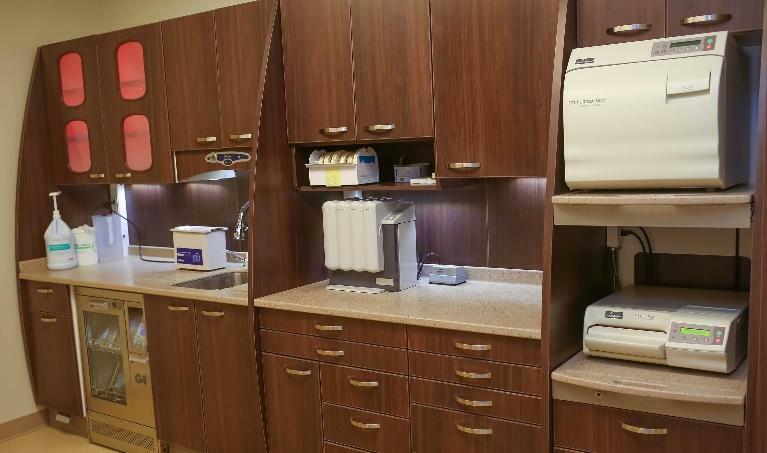 We believe our state-of-the-art sterilization center shows our dedication to your complete safety. In our office, the sterilization center is located right in the center of the office and is very visible. Our sterilization center is essentially the heart of the office. We take dirty ​instruments into the sterilization center, sterilize them, then place them into clean packages. These sterilized instruments are then taken back into our treatment rooms for use. The sterilization center keeps the office flowing just like a heart keeps the body alive. We welcome you to come in and take a tour of the office and see the sterilization center in action for yourself. An intraoral camera is a type of technology that is specially designed for use in dentistry. It’s is a small handheld instrument that’s used to take precise, highly detailed images of your teeth and gums. Since these images are digital, we can share them with you so you’ll be able to see exactly what we see. Intraoral cameras help us provide you with the detailed information you need to understand your diagnosis. Using these clear, highly defined images, you’ll be able to see details that may not be visible when you’re viewing your teeth with a handheld mirror. Intraoral cameras also allow us to save and store your images in our secure computer so that we can build a comprehensive record of your treatments and share them with specialists or your insurance company as needed. Isodry is an isolating system that isolates the teeth during dental procedures. This gives your dentist a clear view of your teeth, which makes treatment more efficient, meaning you spend less time in the dental chair. A soft, pliable Isodry mouthpiece is used to gently hold your mouth open, so you don’t have the discomfort of struggling with muscle soreness from straining to keep your mouth open during the entire procedure. The Isodry also gently pushes away your tongue and cheek so only the teeth are inside the working field. The Isodry continuously flushes away fluids in your mouth during the procedure, eliminating the problem of saliva build-up. We are proud to present our ceiling-mounted TVs for our patients to enjoy while having dental procedures done. This added feature has proven to be very effective for our pediatric patients because we all know how much they love their cartoons! While you are laying flat on the dental chair, just look up and your entertainment and distraction is right on the ceiling above you. Go ahead, pick your favorite channel and relax while we work efficiently to complete your dental needs. We provide Nitrous Oxide gas (Laughing Gas) sedation as an option for our patients. Please look under "Services" tab for "Nitrous Oxide Sedation" for details. At Bethlehem Town Family Dental, our dental chairs are covered by this amazing comfortable material called the plush leather. As the name suggests, plush leather is a special form of leather that has enhanced cushioning and softness to bring the plush feel of a fabric. Plush leather allows our patients to have a comfortable visit every time they sit in the dental chair and also relieves soreness from sitting for a longer time for longer procedures. Digital radiographs allow us to see everything we can’t see with a visual exam. They enable us to find cavities between teeth and identify bone levels and bone health. Digital x-rays also allow us to examine roots and nerves and diagnose developing problems, such as tumors or cysts. Dental x-rays are essential for diagnosing, treating, and helping you maintain dental health. Many people are concerned about the safety of x-rays, but digital imaging is very efficient and reduces your exposure by about 70 percent compared to film x-rays. Since we store the results of your digital x-rays right in your electronic file, we also have easy access to the information to share with specialists or your insurance company. With the most recent advancement of dental technology, the composite (white) fillings have come a long way and achieved amazing results. We are proud to announce that at Bethlehem Town Family Dental, all fillings will be done with composite (white) fillings instead of the older silver filling materials. Please visit the "Tooth-colored Restoration" page under "Services" for more information. Velscope uses fluorescent technology to detect oral cancer. Normal body tissue reflects fluorescent light while cancerous tissue loses their fluorescence. 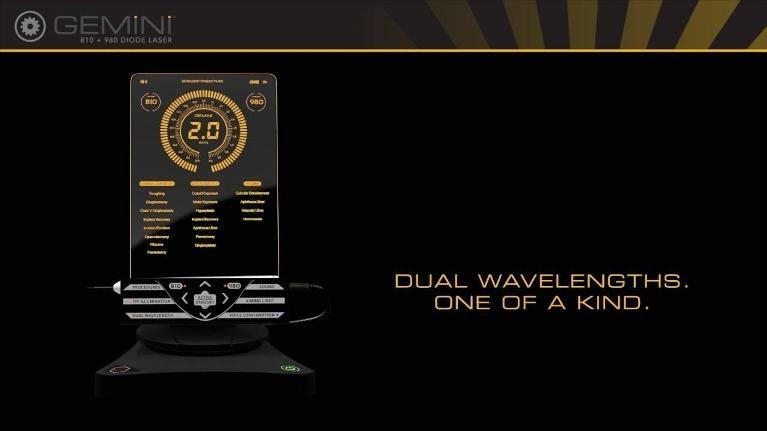 When Velscope is used, it shines fluorescent light into the mouth and we look for reflection. The areas that are not reflecting fluorescent light could be cancerous and you will be referred to an oral surgeon or pathologist for biopsies. It's always better to detect cancer early and this device will help us diagnose cancer in its early stage. 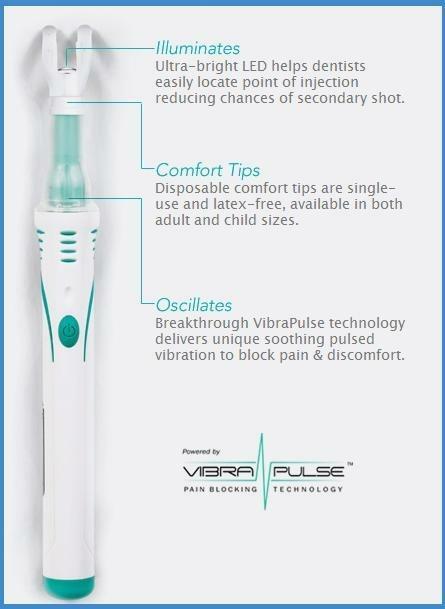 Dental Vibe is a nifty tool that can reduce injection pain, it works exceptionally well on kids. It works by creating strong vibration around the injection site so your nerve is sensing the vibration instead of the "poke". For shallow injections, the patient would hardly feel anything at all with this tool! CamX Spectra is a tool that can help us detect cavities that may be hard to see when they're small. It uses blue fluorescent light and detects the reflection of this light. 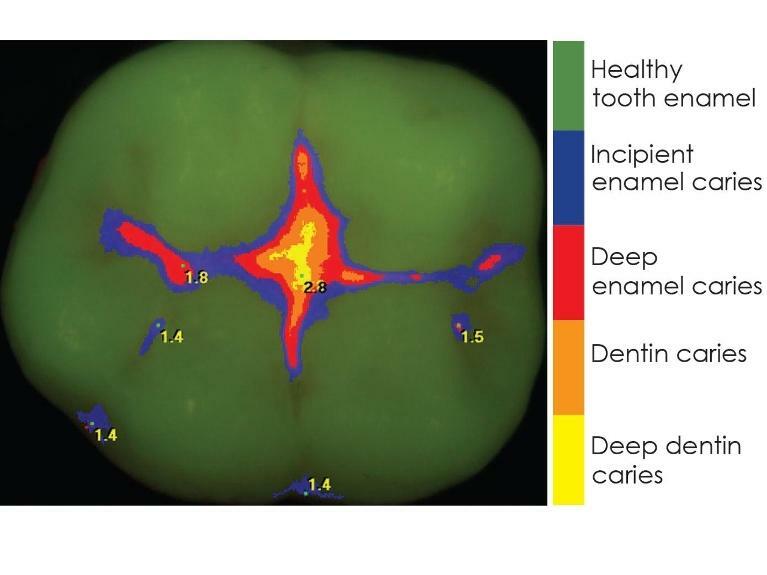 Bacteria will reflect red while normal teeth will reflect green. 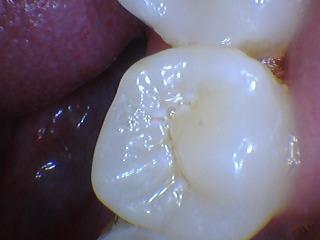 With this contrast, the software can create an image that maps out the cavities and the estimated depth. This technology helps our dentists confirm areas that are "suspicious", the decision to treat is still always made by the dentist! The Nomad unit has been allowing us to take x-rays in any room of the office. We typically take the majority of the x-rays in our x-ray room, but any additional x-rays needed can be taken in the rooms without having to move from rooms to rooms. 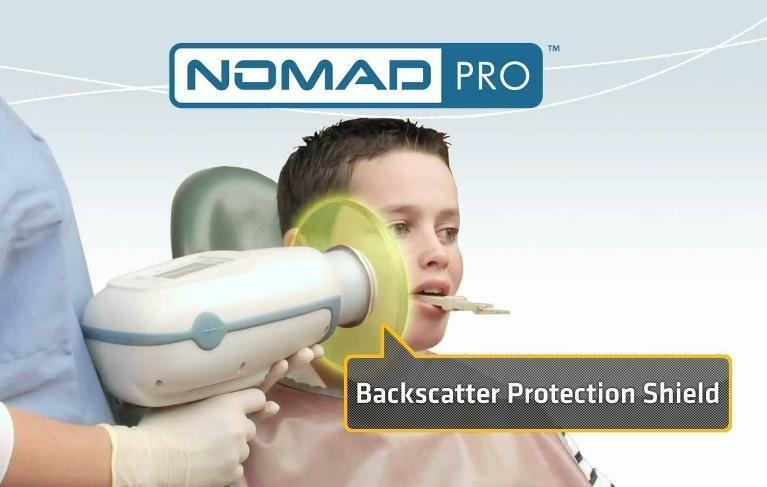 Portable x-ray units are also very helpful when a root canal therapy is done. During root canal therapies, few x-rays are needed and it's always annoying to move from the treatment room to x-ray room. The Nomad allows us to stay in one room for your comfort. We are so excited to implement this new technology! 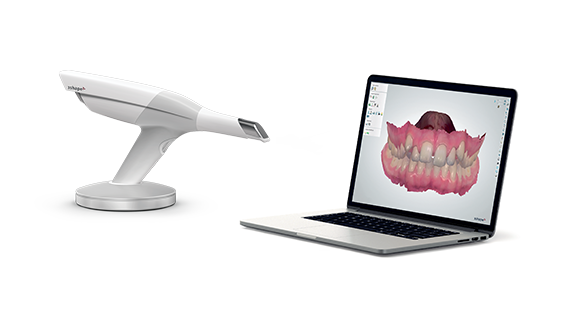 The 3Shape Trios color scanner allows us to scan your tooth after it's prepared for a crown or bridge or implant! What does this mean!? It means you no longer have to taste the yucky impression materials! It also saves time on shipping to the lab, saves time on taking impressions, and saves time on getting the bite right. On our end, the scanner allows the accuracy to drastically improve (just when we thought our crowns can't fit any better)! We have upgraded our handpieces (drills) to an electric-driven system. It still retains the fiber-optic function for lighting. The electric system allows us to cut teeth much smoother and faster than previous air - driven ones. This upgrade means you will feel reduced vibrations when getting work done so your overall visit is more comfortable. We have finally gotten a soft tissue laser! The laser allows us to work more efficiently by cauterizing tissues and killing bacteria. It can also reduce healing time on cold sores and canker sores by killing the viruses hiding in the nerve endings. We can also do a few minor surgical procedure with almost no bleeding at all! Fiber-optic handpieces are basically dental drills that have lighting directly on the drill head of the handpiece. The lighting illuminates the specific teeth we are working on so we have a clear visual of the working field. We do not have to play with the overhead lighting anymore to get a clear view. Working with clear vision will allow us to be more efficient with our dental procedures and this means less time in the dental chair for our patients.